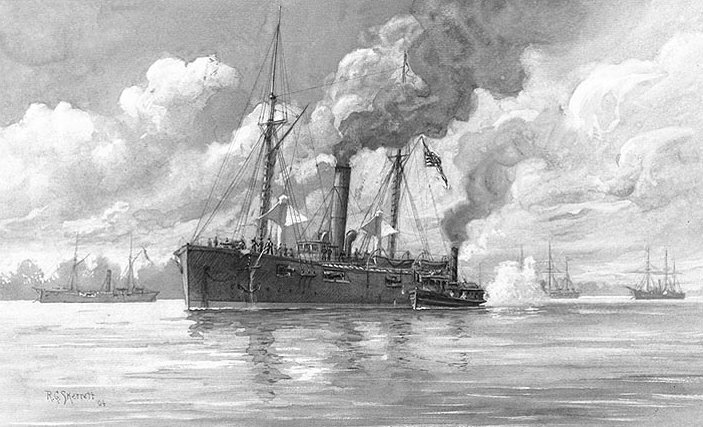 USS Varuna , a 1300-ton screw steam gunboat, was purchased by the Navy in late December 1861, while under construction at Mystic, Connecticut, for civilian use. After conversion to a warship, she was commissioned in February 1862. 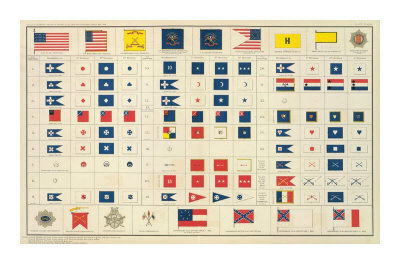 Soon sent to the Gulf of Mexico for service, she was present when Federal warships confronted Confederate-held Forts Jackson and St. Philip on the lower Mississippi River. On 24 April 1862, as the Union fleet boldly steamed past those fortifications to attack New Orleans, Varuna was closely engaged and rammed by the Confederate ships Governor Moore and Stonewall Jackson (identified in one contemporary print as the General Breckinridge ). The fatally-damaged Varuna 's gun crews continued firing on the enemy until their ship sank. 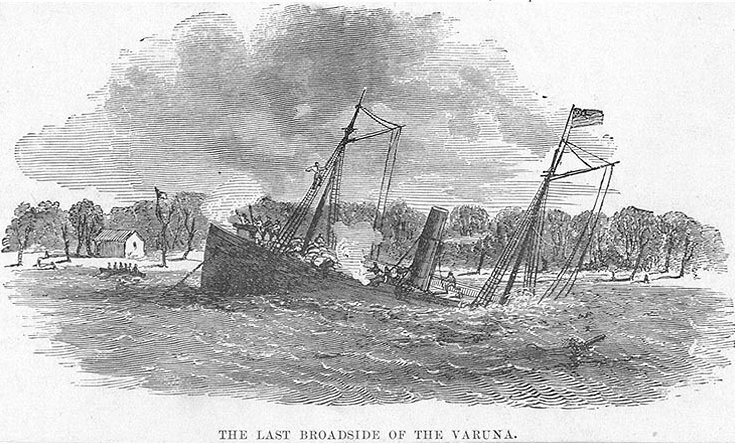 "The Last Broadside of the Varuna." Line engraving, published circa the 1860s, depicting USS Varuna continuing to fire at Confederate forces as she sank, during the battle off Forts Jackson and St. Philip, below New Orleans, Louisiana, on 24 April 1862.